Dahlias are brilliant for bringing late summer colour to your borders. Cool whites, hot pinks, burnt oranges, intense burgundies and every single shade in between – these tuberous perennials have bags of impact, versatility and character – you just can’t lose. 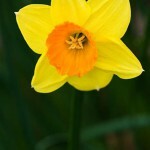 Flower shapes and sizes vary enormously, too, so there’s bound to be one that suits your planting scheme. Waterlily, cactus, peony, pompon – the names of the different blooms are hugely evocative in themselves so take heed – looking through specialist catalogues can be highly addictive! Dahlias perform particularly well when paired with other late-flowering perennials. Verbena bonariensis is a classic planting partner, and rudbeckias, echinaceas, nicotianas and salvias look equally effective. You can also bring a prairie look to your garden by dotting the tubers through foaming grasses such as stipas and calamagrostis. 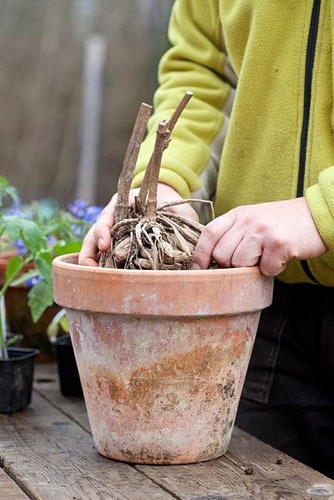 The tubers are tender, so give plants a head start by potting each one up into a container of multipurpose compost. Position the fat, finger-like tubers just below the surface and leave the old growing stalks just above. Water in well, label and place in a well lit, frost-free area. The tubers will begin to grow new shoots within a few weeks. 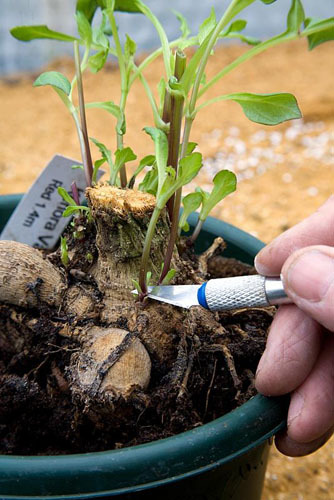 If you have multiple shoots, you can take cuttings to bulk up your stock. Slice off individual shoots at the base and insert into pots of open, gritty compost. They’ll root within a fortnight when placed in a heated propagator. Once all risk of frost has passed, you can plant your tubers out into your flower borders. Check the final height of your particular variety – some dwarf types grow to only knee height, whereas other more lofty varieties can ultimately tower well over your head. 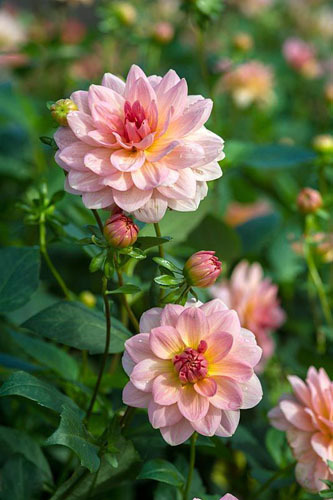 While dwarf dahlias don’t require staking, the taller types do. 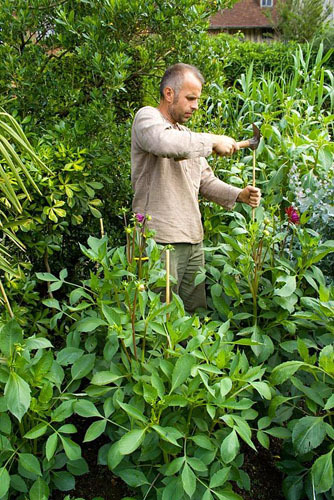 Insert stout bamboo canes or hazel poles next to each stem and gently secure together. Pinching out the growing points of each stem will result in side-branching and more, yet slightly smaller flowers. 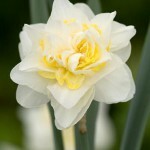 Exhibition growers wanting dinner plate-sized blooms will often allow just one bloom per stem. Dahlias make excellent cut flowers. You can either leave your blooms on the plant to enjoy a display in the garden, removing the faded blooms as they develop, or cut them for the vase. 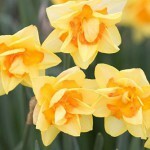 Either way, continually removing the flowers from your plants will encourage a succession of new blooms. Finally, in October when risk of frost is imminent, lift and store your tubers for winter. Gently tease them out of the soil, cut back all the stems, dust with sulphur and store in slatted trays in a frost-free spot. The tubers can then be potted up again in the spring. Those in very mild areas with free-draining soil can try leaving their tubers in your flower borders for winter. This entry was posted in Expert advice, Plant focus, Practical gardening on February 26, 2015 by gapadmin. 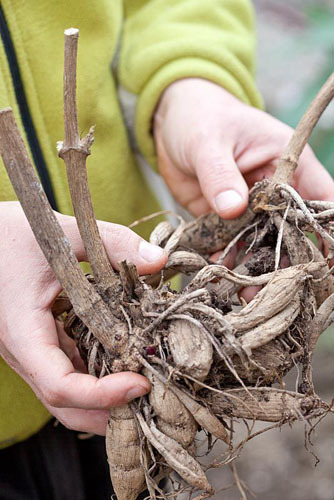 There are some gardening tasks that inject fear into us, and pruning can be one of them. But there’s honestly nothing to fear – all you need is a little understanding of how your plants function and you’ll transform your secateurs from a weapon of dread into a craftsman’s favoured tool. Clematis in this group flower very early in the year, mainly in the spring. they often have small flowers. They have the ability to do this because they flower on short sideshoots arising from last year’s stems, so there’s little growing they need to do before the blooms arrive. In the first few years of owning these plants you don’t need to prune them at all. 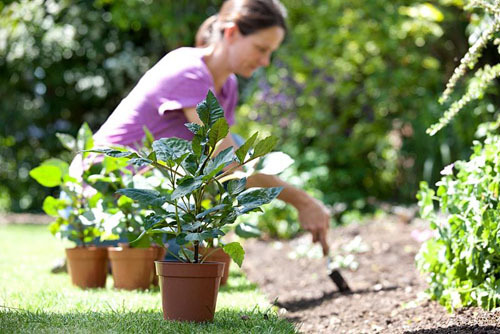 As they age they can become congested, so at this point step in with your secateurs. In late spring, as soon as the blooms have faded, thin out congested growth (you can use shears if it’s a real bird’s nest of stems). The plants will then have time to produce new growth that year, ready to flower the next. Examples of group 1 clematis: C. alpina, C. armandii, C. cirrhosa, C. macropetala, C. montana. These clematis produce solitary, large flowers on mid-length sideshoots arising from last year’s growth – these appear in early summer. Some varieties within this group also produce a second flush of flowers later in the summer on the current year’s growth. 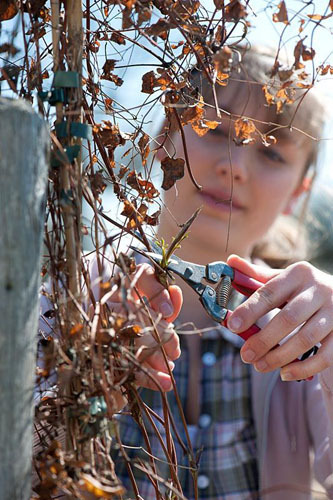 To prune them, reach for your secateurs in early spring. Cut back over-long stems to the uppermost pair of healthy buds. If you need to, you can cut back the stems harder but you’ll reduce the quantity of early blooms if you do this. Examples of group 2 clematis: C. ‘The President’, C. ‘Nelly Moser’, C. ‘Elsa Spath’, C. ‘Niobe’. Clematis within this group flower late in the season, generally from midsummer onwards, on the current season’s growth, so they have quite a lot of growing to complete before they bloom. This type of growth makes pruning incredibly easy. Because of the flowering habit there is no risk of losing any blooms, so all stems can be cut back to 20-30cm above ground level in early spring. Cut back just above a healthy pair of buds in each case. Examples of group 3 clematis: C. ‘Perle d’Azure’, C. ‘Jackmanii’, C. ‘Duchess of Albany’, C. viticella. This entry was posted in Expert advice, Plant focus on February 24, 2015 by gapadmin. 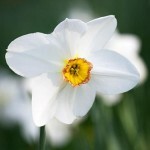 The virtues of these springtime bulbs are endless – their diverse origin means that they can be successfully grown in all manner of locations, and attention from plant breeders has given us all manner of sizes, shapes and colours. 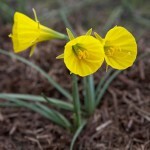 Take the diminutive Narcissus bulbocodium, for example. 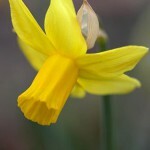 Standing at only 12cm in height, this species’ name, the hoop-petticoat daffodil, is so given because of the expanded trumpet-like yellow blooms. Originating from spring-fed meadowland in southern Europe, it’s perfect for naturalising in moist grassy areas that dry out during summer. If, on the other hand, you prefer to admire your narsicci from a vase, try planting up containers of N. ‘Grand Soleil d’Or‘. 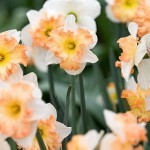 The semi-hardy bulbs are best kept in a cool greenhouse, where, in spring, they’ll produce multi-headed stems of tiny, deep yellow blooms with a golden eye that emit the most deliciously sweet scent. They make the perfect cut flower. 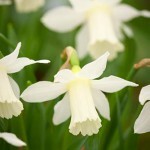 N. ‘Jetfire‘, ‘Tete-a-Tete‘ and ‘February Gold‘ are varieties you’ll frequently come across at the garden centre – and for good reason. 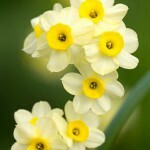 Their incredibly robust nature yet dainty stature makes them a favorite for flower borders and container growing. Plant them in swathes in the garden for best effect, or, if in container, group them with other spring-flowering bulbs such as crocus, scillas, muscari and chionodoxa for a mix-and-match display. Classic golden trumpet-shaped blooms are an essential component for spring displays, but if you fancy something a little different why not look at double blooms in alternative colours? N. ‘Cheerfulness‘ bears pale cream flowers with a ruffled double centre, whereas the central trumpet of white-flowered N. ‘Passionale’ are a delicate rose pink. Autumn is the time for planting daffodil bulbs, and as your displays fade this season you can encourage them to flower well next year. Deadhead the faded blooms, removing the swollen seedhead as well as the flower, and ensure that blooms in pots don’t dry out prematurely – keep them watered until June. Narsicci that are naturalised in grass should not be mown down till early summer, either, to ensure the bulbs have sufficient energy reserves to bloom next spring. This entry was posted in Expert advice, Plant focus on February 18, 2015 by gapadmin.